Jessica Gelman, CEO of Kraft Analytics Group(KAGR), will be the keynote speaker at the TechWomen|TechGirls third annual awards luncheon on April 4. 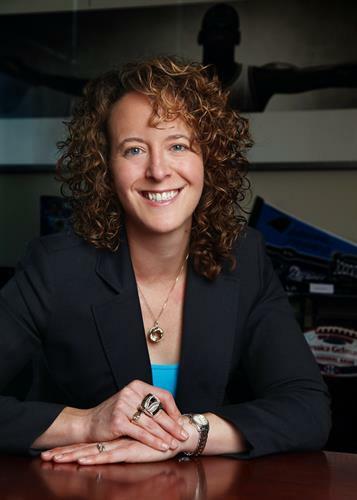 She will speak about her experience as a female CEO in the world of sports helping organizations become more data-driven and use analytic insights to grow the bottom line including for the New England Patriots. The annual luncheon will take place at the Bedford Village Inn, 2 Olde Bedford Way in Bedford, NH, on Wednesday, April 4 from 11:30 am to 2:30 pm. Tickets are $45 per person. Tickets must be purchased in advance and are available here. Thank you to Dartmouth-Hitchcock Medical Center, Connection, Northeast Delta Dental, Measured Progress, Cross Insurance, and Cisco for sponsoring the third annual awards luncheon. Additional sponsorship opportunities are still available.